Fine-tune your shot placement this off-season with the Rinehart® Woodland Strutting Turkey Target. 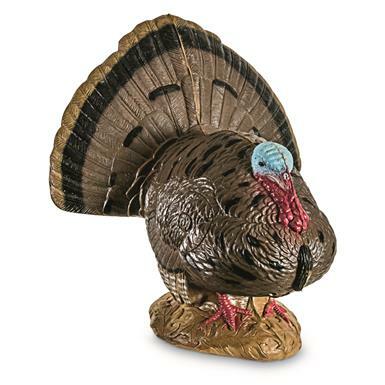 Durable Turkey Target is made from UV-resistant woodland foam and features a true-to-life anatomy with realistic hand-painted details. Rinehart Woodland Strutting Turkey Target is rated 5.0 out of 5 by 1.